First of all, can I just say WE LOVE THE TEXAS HILL COUNTRY!!!! Once we got “shop talk” finished Gunner shared that the one other thing was that he just proposed and was now engaged. So a little more chatting later and here we are teaming with them for both their work and wedding. We love it when that happens! 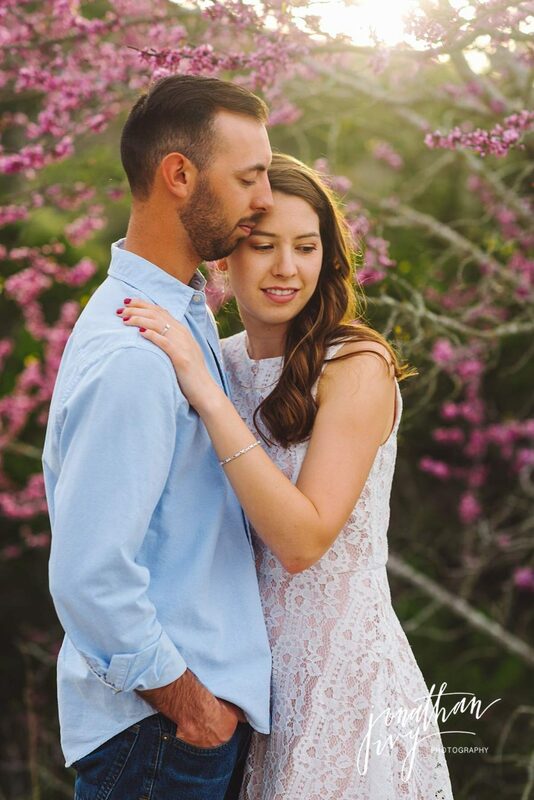 Here are their engagement photos North of San Antonio in what is definitely our new favorite location. Consequently we had the hardest time choosing favorites to post, we wanted to share them all! 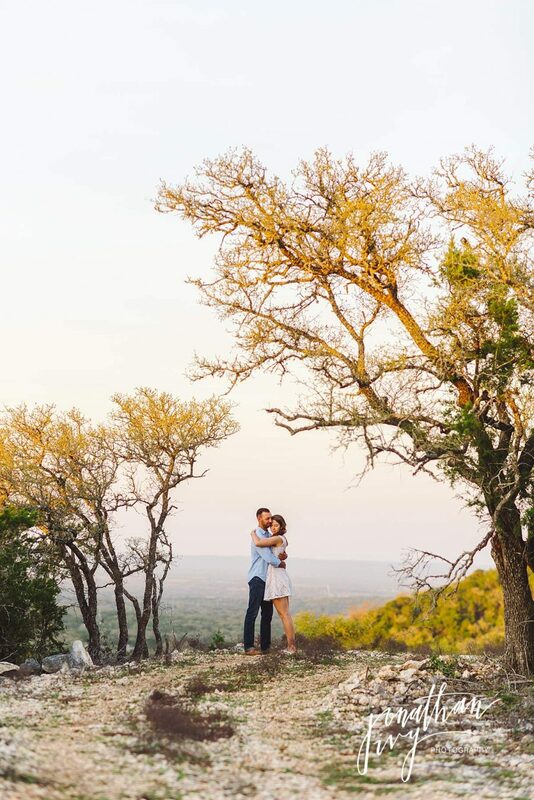 Check out these Hill Country Engagement Photos at Uno Mas Ranch. Grace Hills at Uno Mas Ranch is a brand new wedding venue located on an active and working ranch in Bandera Texas. It is absolutely beautiful as you can see here. They have deer, exotics, turkey, dove, duck and more all on their 1650 acres of gorgeous Texas Hill Country Land. Want to learn more about the ranch and hunting? Visit Uno Mas Ranch here. And the next photo below is probably Jonathan’s favorite. One of the things we bonded over in our talks is our mutual love for Jesus. We absolutely adore how this couple incorporated the various parts of their lives into this engagement shoot. Below they are reading the Bible together at the ranch that Gunner works at. And when you have an overlook like this + a sunset, it literally is the wrapping to an absolutely perfect day! Although both Jonathan and I love the photo above and below too! I’m telling you, sooo many favorites!!! Congratulations Brianna & Gunner! We can’t wait to capture your Grace Hills at Uno Mas Ranch wedding this summer. These photos are absolutely charming, so full of intimacy and so beautifully colourful!